Creative Kerbs and Concrete is a small, privately owned business that prides itself on offering workmanship of the highest quality and providing customer satisfaction, both in reliability and professionalism. 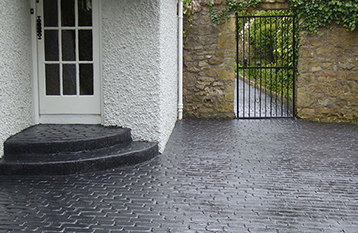 A beautiful new pattern imprinted concrete driveway, path or patio will add value to any property. We provide a large variety of colour and design options from which you can select the most appropriate for your home. Our surveyor will offer advice on design, layout and all technical aspects of the installation. Weed-free and low maintenance paving will not only make your life easier but will also enhance the appearance of your property. © 2019 Creative Kerbs & Concrete All rights reserved.